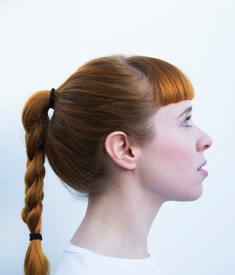 Holly Herndon is an artist currently based in San Francisco.Her musical work explores embodied experience in electronic media through experiments with the electronically processed voice, using extended vocal techniques, vocal processing and FM synthesis . She was recently announced a candidate for doctoral study in Electronic Music at Stanford University, and received her MFA in Electronic Music and Recording Media at Mills College under the guidance of John Bischoff, James Fei, Maggi Payne, and Fred Frith. While at Mills she won the Elizabeth Mills Crothers award for Best Composer in 2010 for her vocal generated piece ’195′. When not producing music Holly curates and manages exhibits and residencies at The Children’s Creativity Museum in San Francisco and teaches music technology at the University of the Pacific. She co-founded the +dialog speaker series at Gray Area Foundation of the Arts in San Francisco, which to date has hosted Kode9, Erik Davis, Max Matthews, Douglas Kahn and more.